Nutrition50 – FDACS discontinued issuance of all export certificates, including the Certificate of Free Sale, on December 31, 2018. GMP Certificates no longer issued by the Florida Dept. of Agriculture & Consumer Services (FDAC) leaves some Supplement Companies without Certification for Export. FDACS discontinued issuance of all export certificates, including the Certificate of Free Sale, on December 31, 2018. GMP Certificates no longer issued by the Florida Dept. of Agriculture & Consumer Services (FDAC) leaves some Supplement Companies without Certification for Export. So at this time, even if these operations have FDA GMP Compliant standards as outlined in the CFR 21 Part 111 for dietary supplements and part 110 for foods with the written documentation and employee training manuals in-house, they now must go to a third party certification company. In dietary supplements, this is NSF https://bit.ly/2I7NVGO and the NPA https://bit.ly/2Ui237s. They use auditors to inspect the facilities and issue an advisory on what needs to be done to become accredited with a GMP certificate. SQF certification is also an option that is recognized internationally. As of Dec 2018, the FDAC no longer issues GMP certificates for export to specific countries. Under the prior system, a manufacturer or holding facility (distributor, marketers) of dietary supplements was able to apply online for the GMP certificates. This leaves the smaller and mid-sized companies in Florida without this certification which is required by almost all countries Ministries of Health or equivalent agencies. 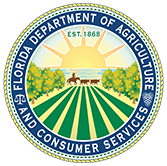 Florida companies are required to possess an FDAC Food Establishment License to operate. This certificate requires inspection by FDAC auditors throughout the state. And it will enable these companies to become accredited within the CFR 21 of the US FDA. With increasing regulatory scrutiny, this is becoming an increasing risk. it is wise to have written documents (SOP’s) electronically available within the operations. Call us at 727-386-1889 or email@nutrition50.com to discuss how we can help you cost effectively.